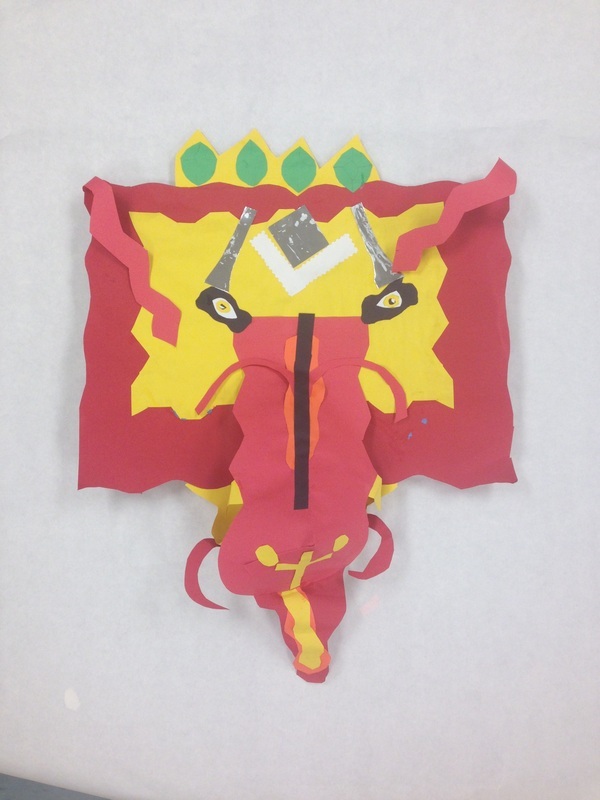 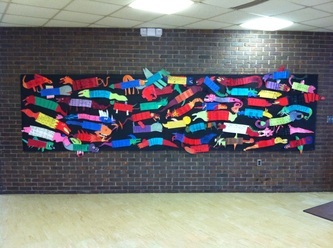 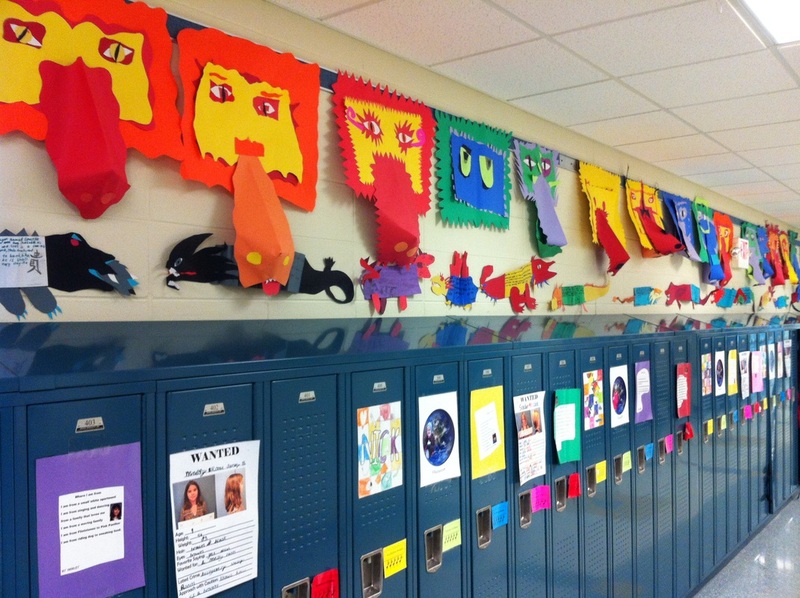 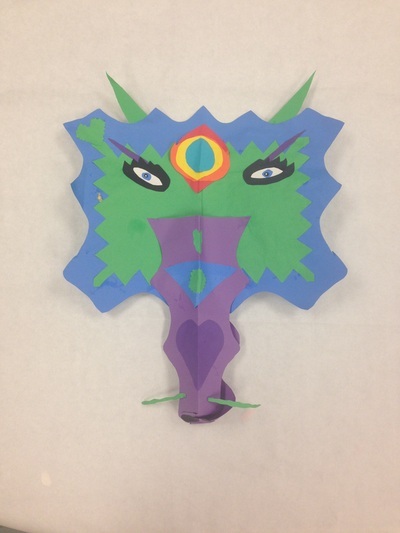 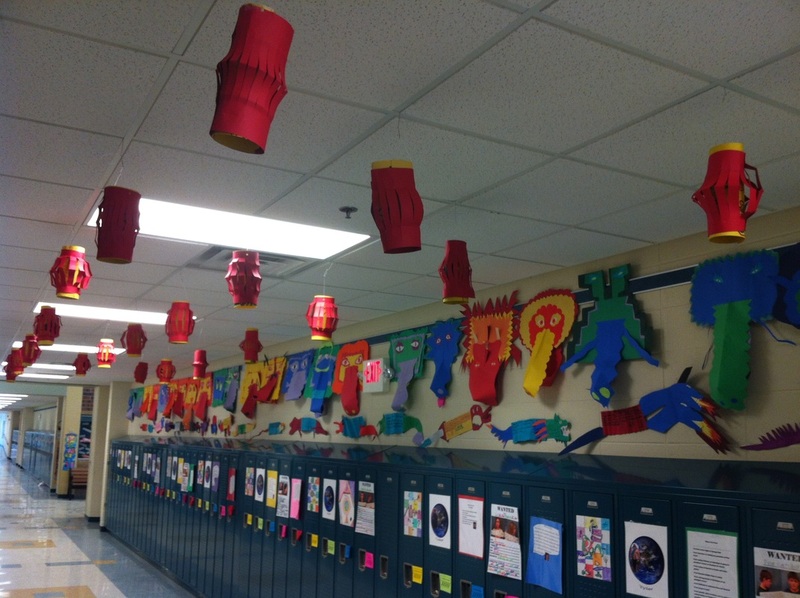 Fourth grade students created two different dragon projects inspired by traditional Chinese artwork and customs. 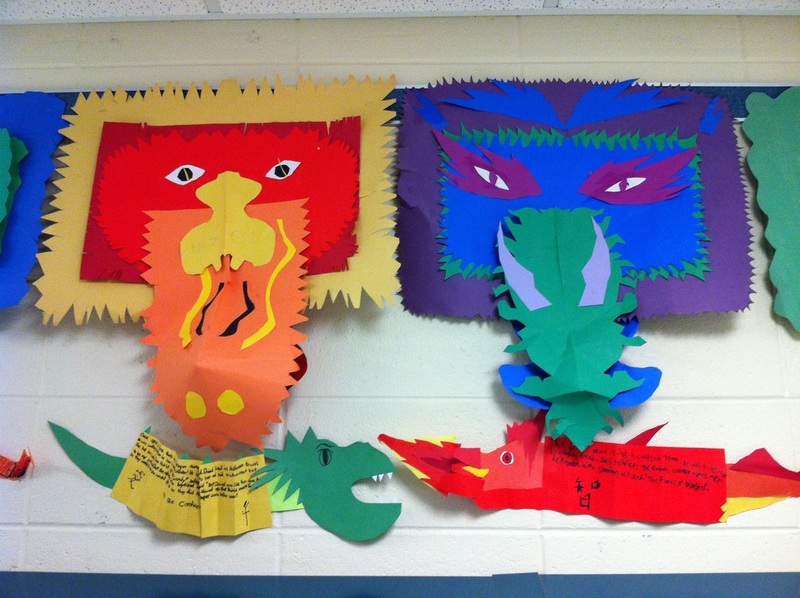 The first project required students to write an original story about a dragon. 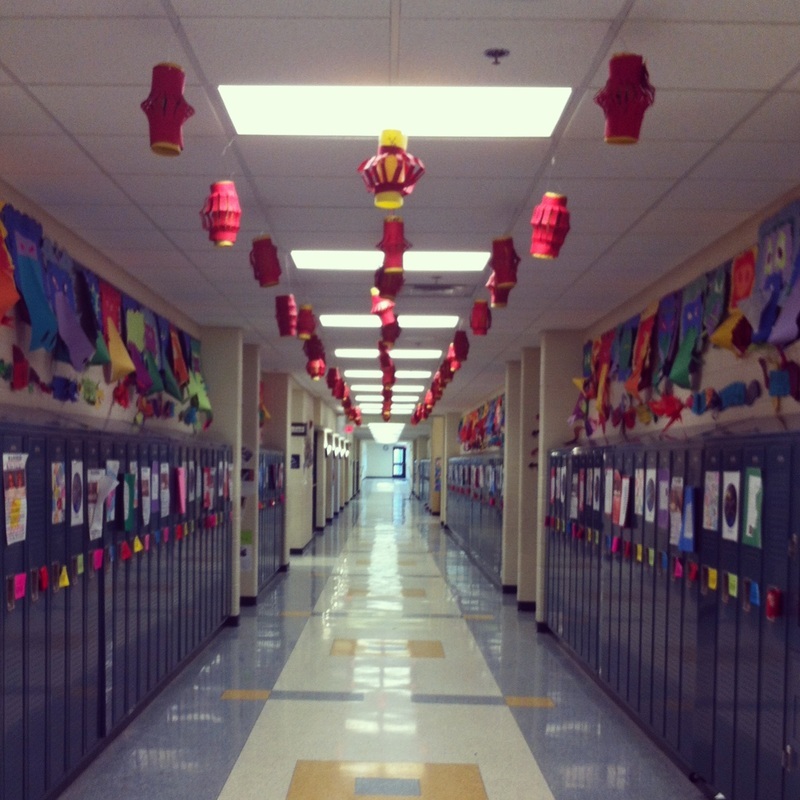 The stories ranged from grand adventures to endearing friendships. 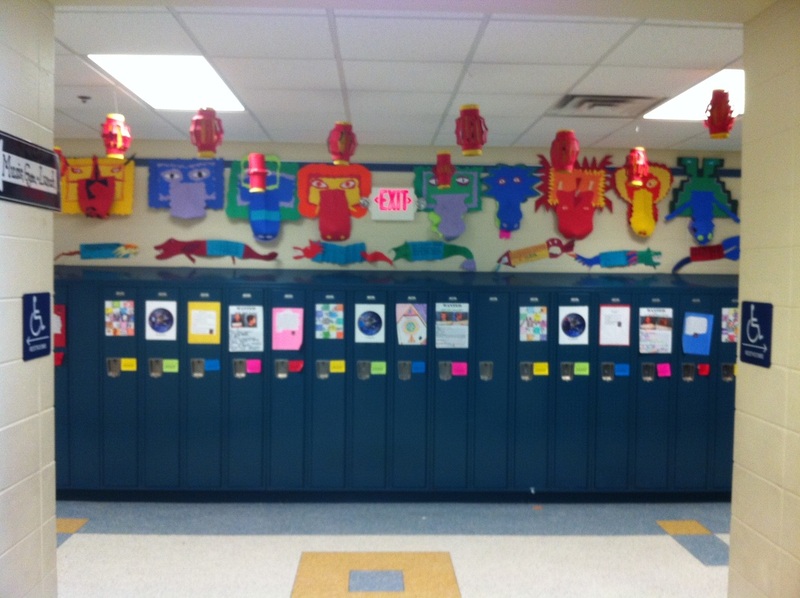 Some students worked together to write stories that corresponded with one another. Each student created a paper dragon as unique as their written story. 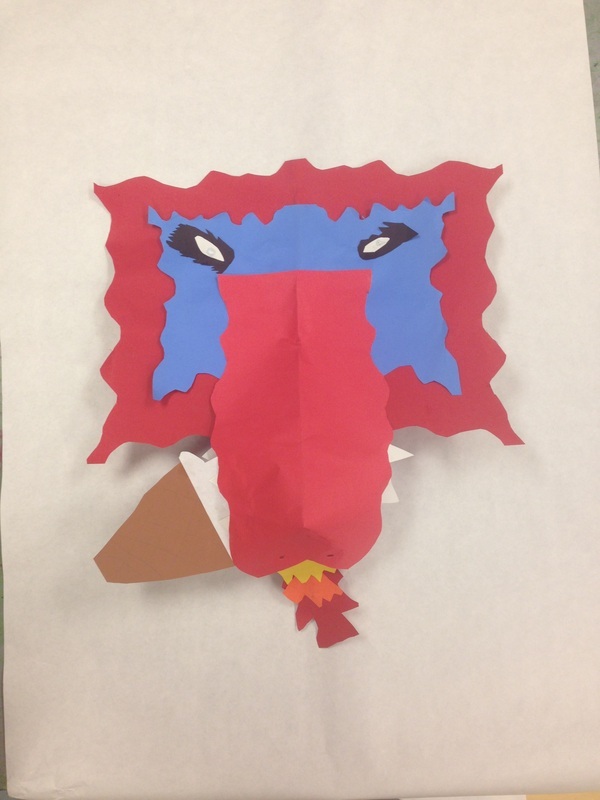 Many of the dragons had elaborate tails, beards and wings, while others appeared ferocious with two heads and sharp teeth. The colors, shapes and lines were to reflect the dragon's personality. 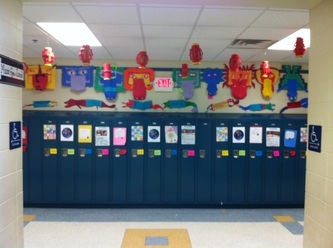 The students did a great job conveying their stories visually. 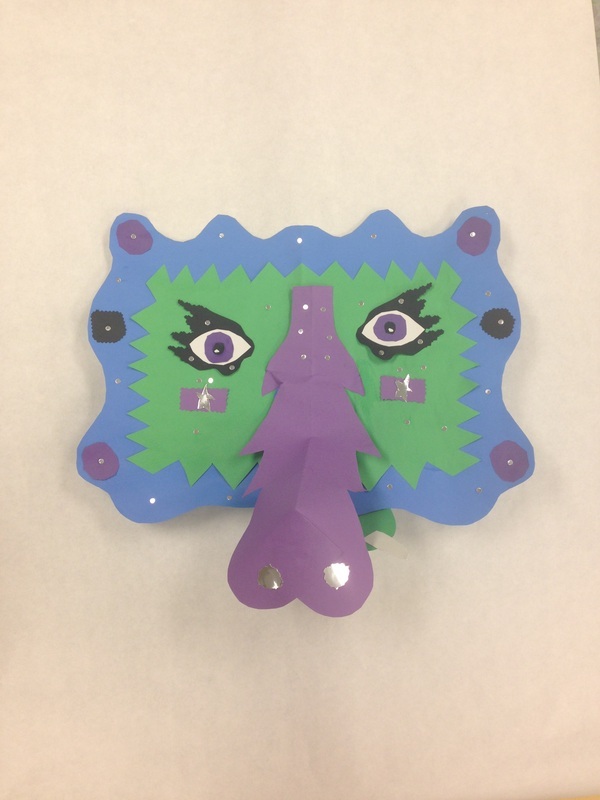 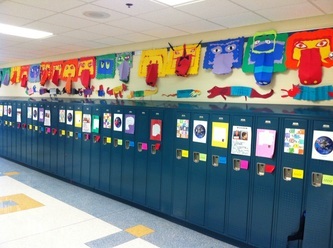 The project was designed to encourage creativity, and each class exceeded my high expectations. 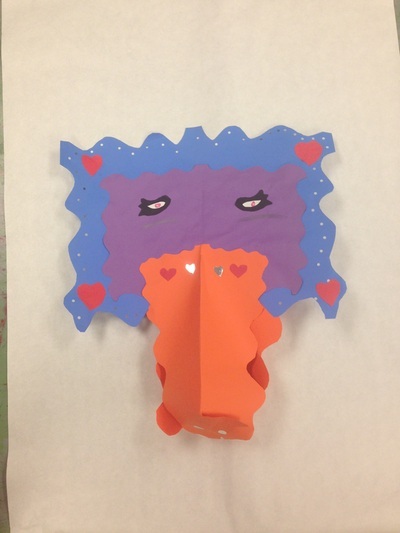 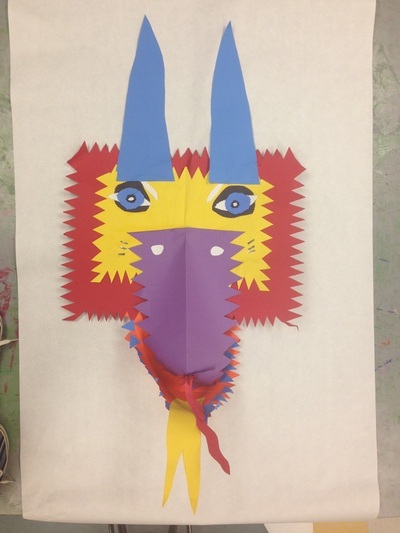 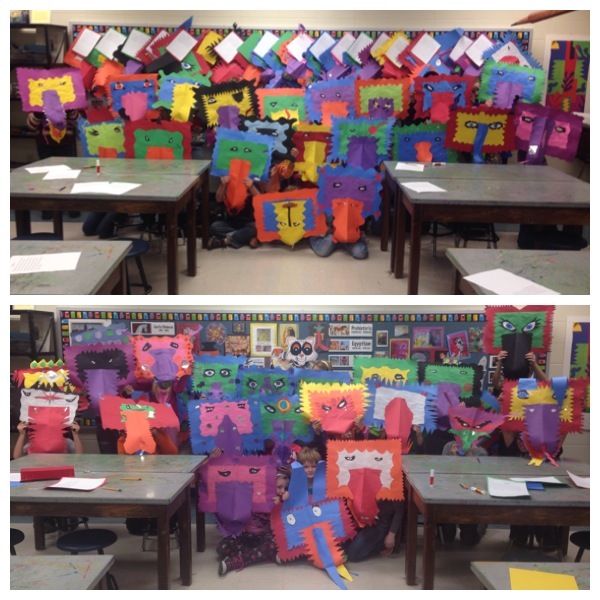 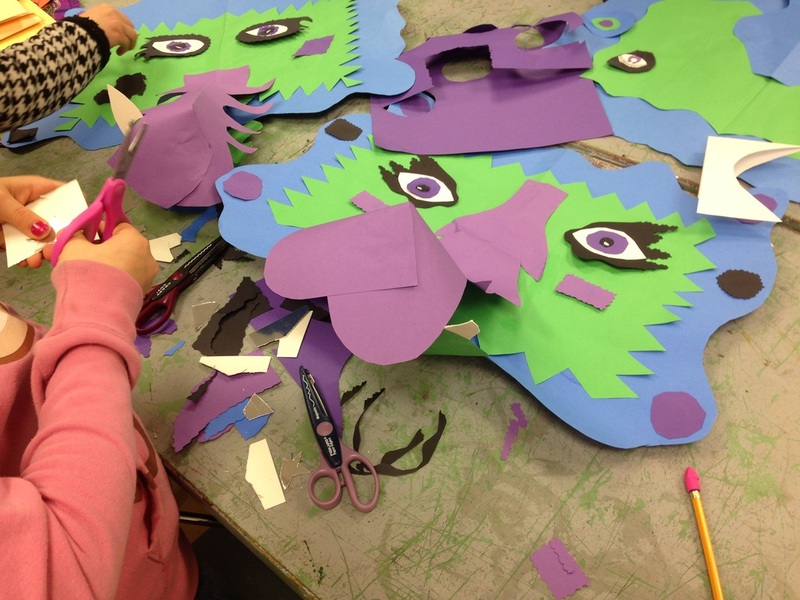 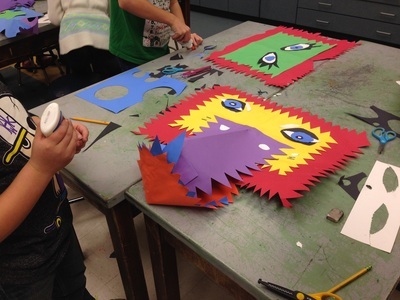 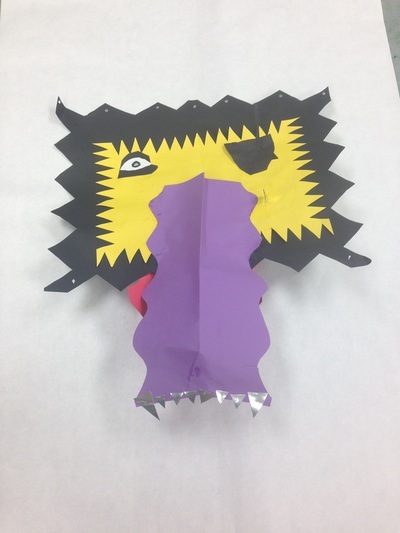 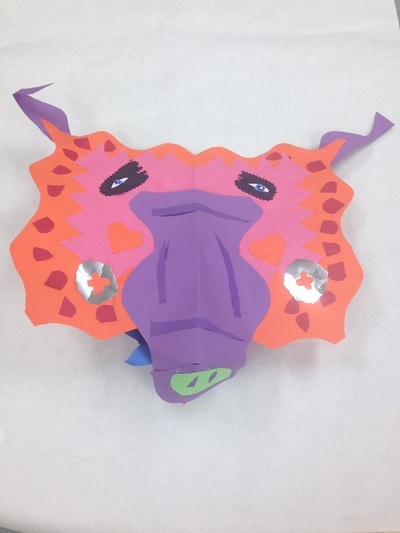 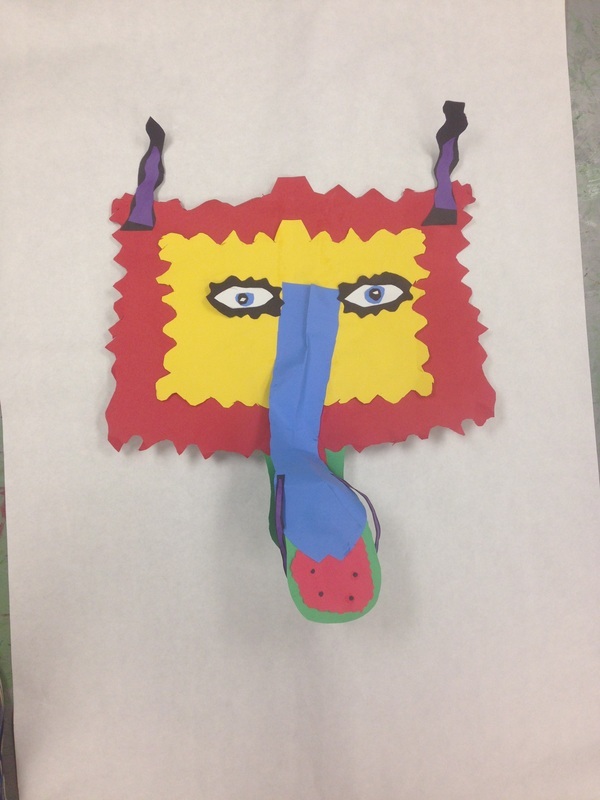 The second project required students to create a large dragon mask. The shapes and lines once again had to represent their dragon's personality. 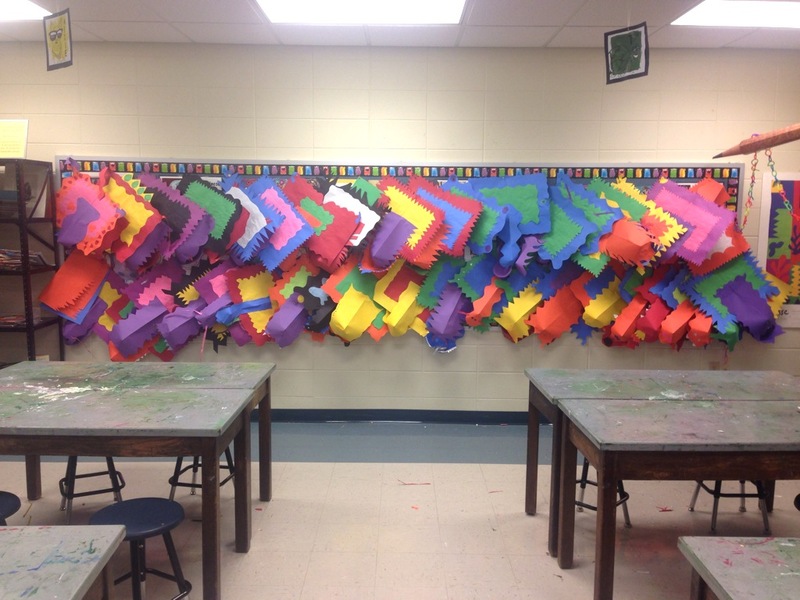 The colors had to follow either a warm or cool color scheme. 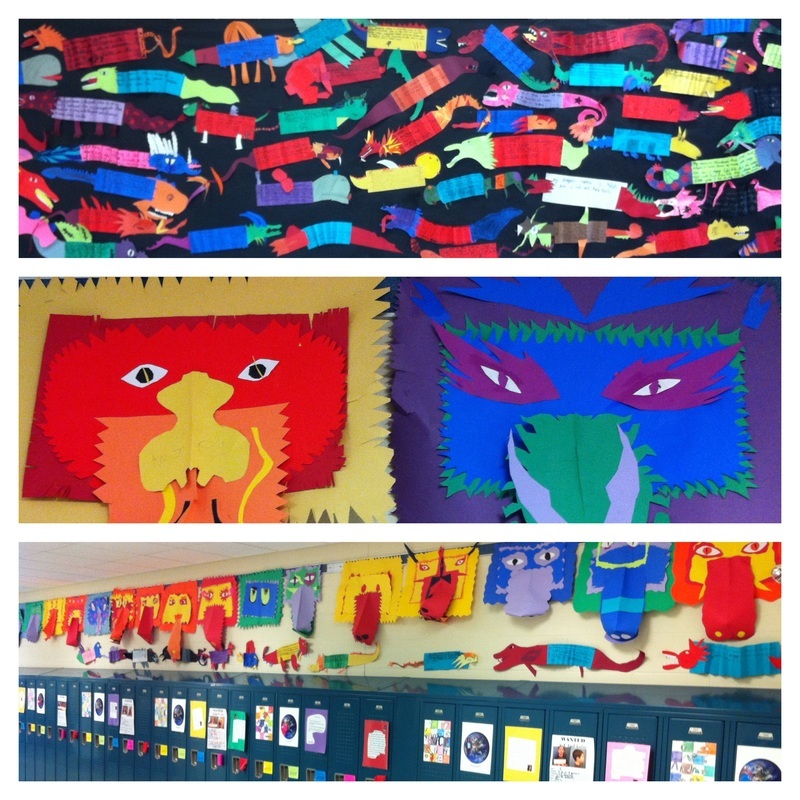 I was really impressed by these large-scale projects and how each dragon was unique to the student. 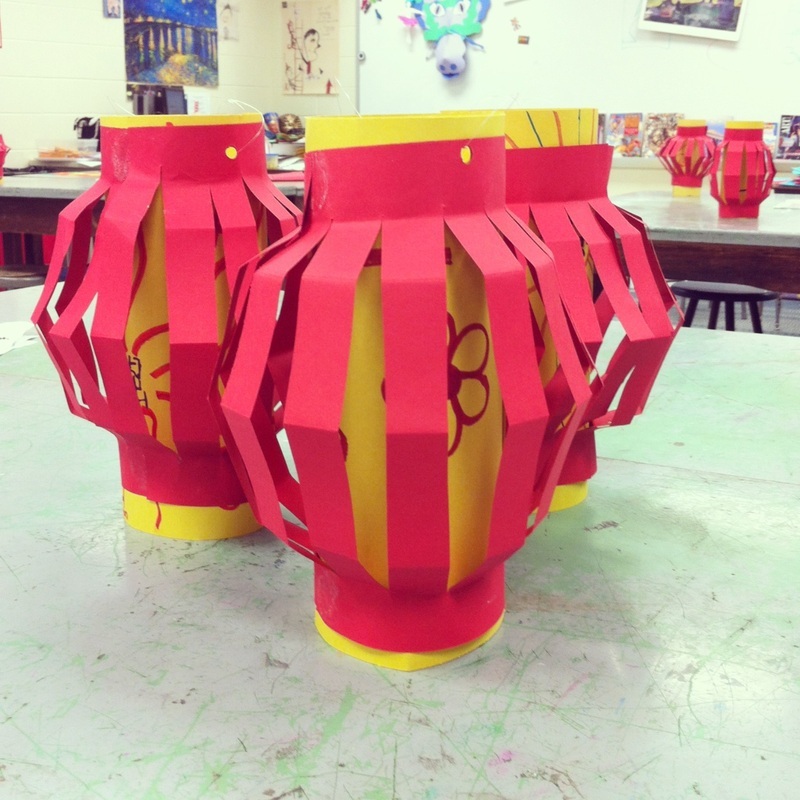 We finished our unit on Chinese art by creating paper lanterns. 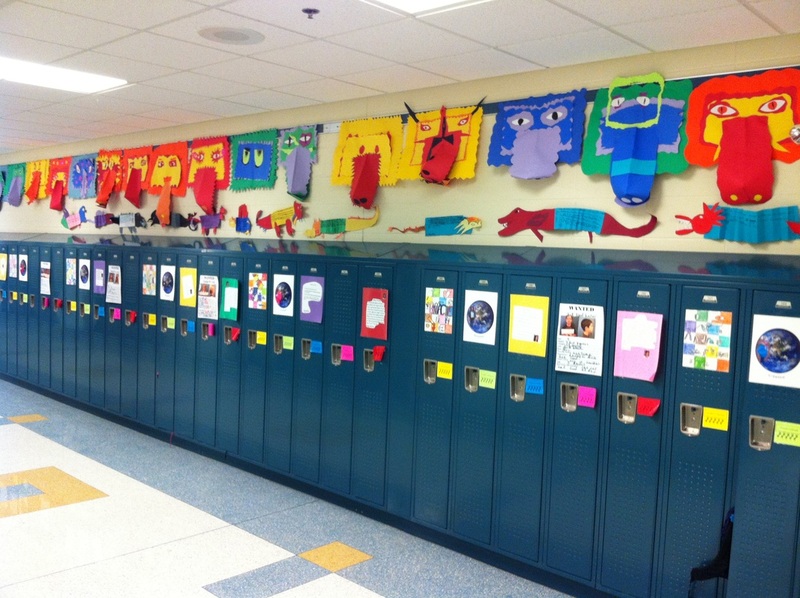 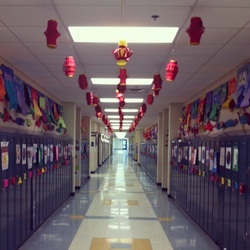 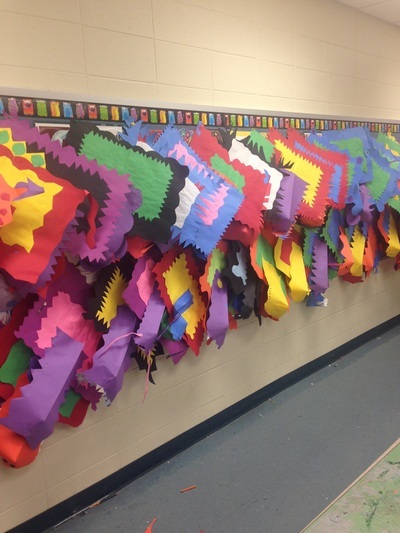 The lanterns and dragons were displayed in the fourth grade hallway for the entire school to enjoy!